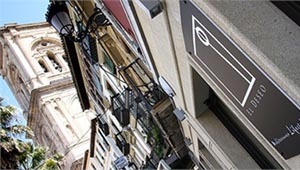 Set menus, El Deseo Restaurant – Plaza de la Romanilla (Granada). Discover the Italian and Mediterranean menus we have created at El Deseo Restaurant. Enjoy our gourmet menus concocted by El Deseo’s chefs, in a unique setting where diners may enjoy the vicinity of the Cathedral of Granada.